Jul 24, 2015 @ 09:00 AM — by Sharon B. Mateja, D.D.S. Root canal therapy may not be the most glamorous procedure in dentistry, but it is certainly among the most important. As one of the safest and most time-tested general dentistry procedures, root canal therapy has enabled millions of people to find relief from excruciating tooth pain while salvaging as much of the remaining healthy structure of their infected teeth as possible. Nevertheless, over the years, many people have come to think of root canal therapy as something to be frightened of; it has become the procedure that epitomizes people’s fears of the dentist. Fortunately, modern root canal therapy is actually one of the most painless and comfortable procedures a person can undergo. The fact that the procedure is pain free is just one of several root canal therapy benefits. At the Rancho Cucamonga general, restorative, and cosmetic dentistry practice of Sharon B. Mateja, DDS, we put our patients at the center of all that we do, placing nothing above their comfort, safety, and overall satisfaction. You may be coming in for root canal therapy, but you will discover a dental experience unlike any other. You will leave our practice not only with restored oral health but also with a new dental team that will help you maintain that oral health for a lifetime. And that’s a benefit of root canal therapy you won’t find at any other dental practice. First, you should understand that a “root canal” is not actually a procedure, but rather an anatomical structure contained within your mouth. In fact, each of your teeth contains between one and four root canals. 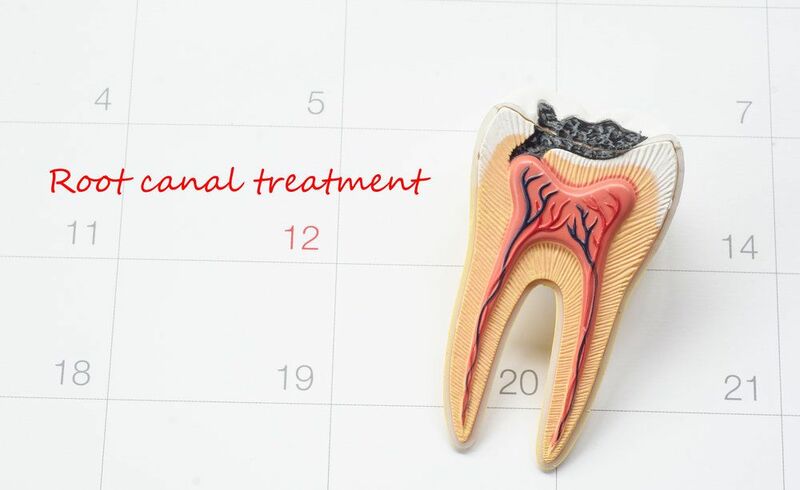 Inside these canals is a substance called dental pulp, comprising nerves, blood vessels, and connective tissues that are vital to the health of your tooth. As long as the tooth is structurally sound and healthy, the root canal provides adequate protection for the dental pulp, and all is well within the tooth. However, if the tooth becomes structurally compromised by decay or trauma, the root canal can be penetrated, and the dental pulp can become infected or diseased. The result is intense pain and, eventually, the death of the tooth. If treatment is sought when pain is first experienced, root canal therapy can be performed to salvage the tooth. During this treatment, an opening is created in the crown of the tooth to access the root canal. The diseased dental pulp is removed, the chamber is disinfected, and the pulp is replaced with a filler substance. The entire tooth is then covered with a dental crown, which protects it from further harm. It stops tooth pain: By removing the inflamed dental pulp, root canal therapy stops tooth pain at its source. Some residual pain may continue for a few days, but it will be less intense and will eventually subside. It salvages the tooth: If not for root canal therapy, the infected tooth would either die and fall out or have to be surgically extracted. Preservation is always preferable, as it helps to prevent degradation of the gums and jaw bone and the shifting of adjacent teeth from their optimal positions. It is a pain-free procedure: Modern technology has made root canal therapy virtually painless. Dental crowns look, feel, and function like natural teeth: Patients emerge from treatment with a more beautiful and functional smile, thanks to custom-crafted dental crowns. To learn more about root canal therapy benefits, please contact the dental practice of Sharon B. Mateja, DDS today.